Many would consider viewing this painting in the Louvre as the ultimate experience in appreciating Da Vinci’s masterpiece, the Mona Lisa but few may consider actually painting it. 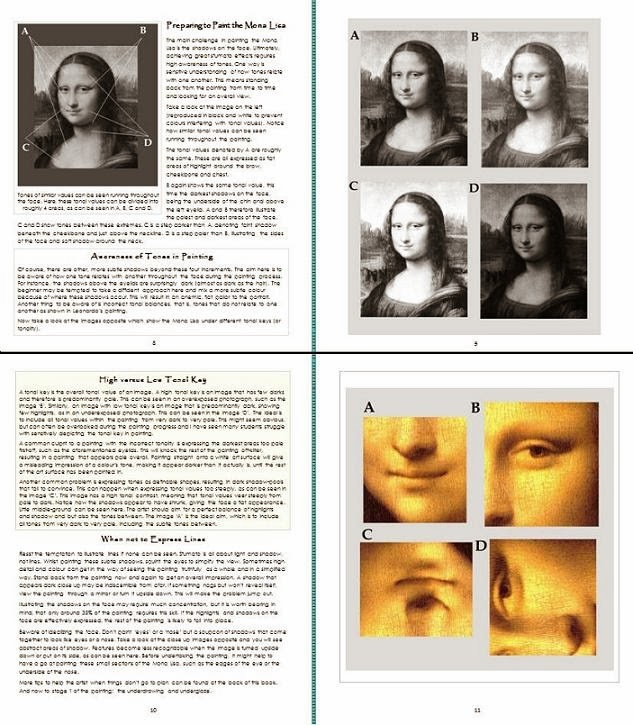 The subtle sfumato effects – Da Vinci’s shading technique resembling smoke – might seem too much of a challenge. However, this book aims to break down the task of painting the Mona Lisa into small, manageable steps. 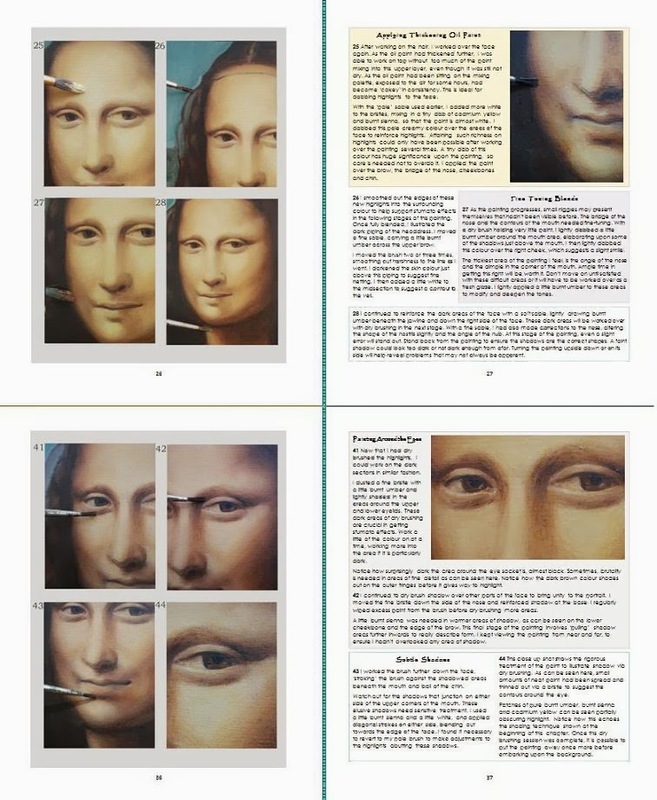 I included a step by step demo of how to paint the Mona Lisa in one of my art books, Skin Tones in Oil: 10 Step by Step Guides from Old Masters. However, this particular project ended up so lengthy, decided to release a separate ebook and now hardback on how I painted the Mona Lisa in oils. This unique art book contains extra features that explore sfumato in more detail, namely creating heightened awareness of tones and viewing the face as an abstract series of shapes. 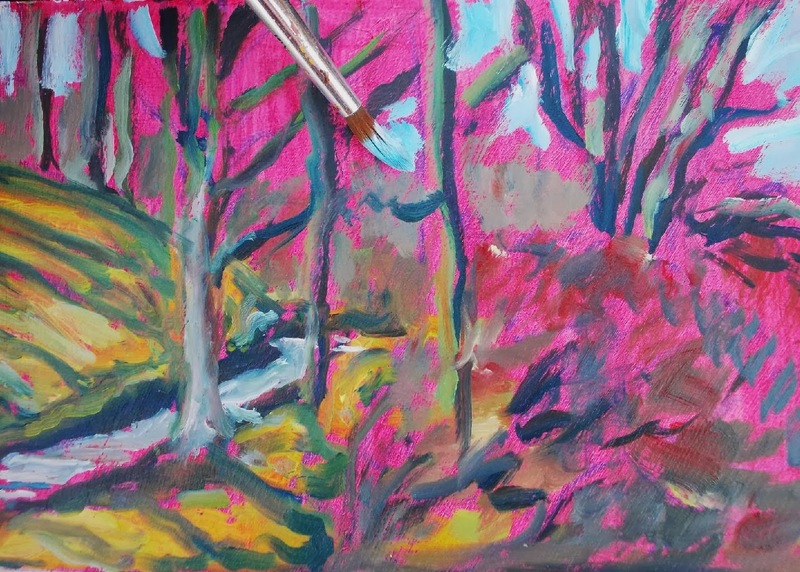 A selection of oil painting techniques has also used, including glazing, dry-brushing and shading. The aim is not to produce a carbon copy of the original, as I do not believe copying is being truly creative. The aim of this book to explore sfumato for its own sake and create a slightly different version of Da Vinci’s masterpiece along the way. The background colours have therefore been altered as well as giving La Gioconda a slightly different look. The screenshots offers an inside preview of how this book looks. Each page is a blend of step by step images and text that explain how each stage was completed. 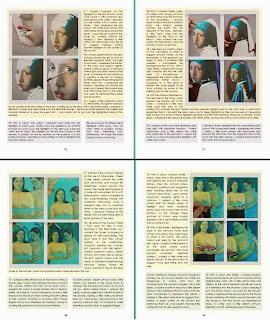 Introductory chapters also help the developing portraitist view the face in new and different ways for future practice. Learning the sfumato method is not easy, but is possible with time and patience. This book attempts to guide the portraitist through various stages of getting sfumato effects that can be used in future portrait painting. A delicate effect that comes from the Italian word, Sfumare, which means ‘to evaporate like smoke,’ this technique is almost impossible to achieve in one glaze alone, as in alla prima. Several glazes have therefore been used. 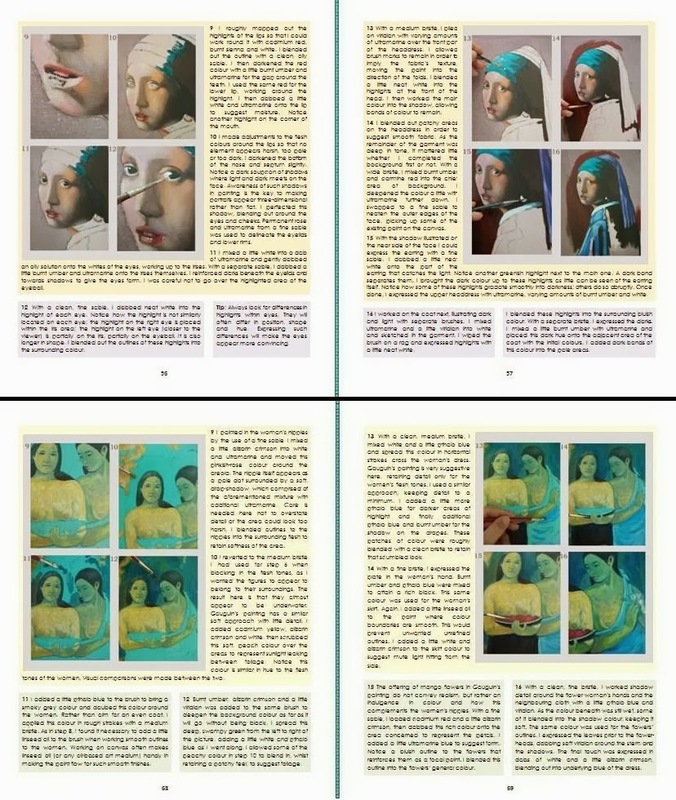 This invaluable art book for portrait painting measures 10x8in and is 46 pages long. Also available on Kindle. This demonstration can also be found in my other portrait painting book, Skin Tones in Oil: 10 Step by Step Guides from Old Masters. 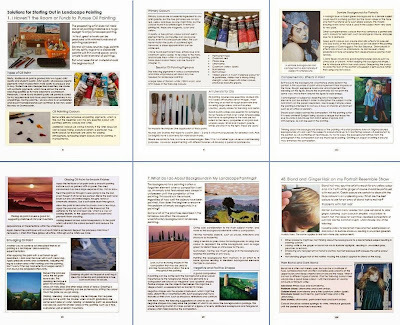 This large oil painting guide, previously available only on Kindle is now available as hardback. This large art book comprises an amalgam of 3 of my titles, tackling difficulties with landscape painting, portraiture and still life art, hence its title; the Ultimate Oil Painting Solution for Landscape Art, Portraiture and Still life. Inspired by this blog to write solutions to common ‘peeves’ with oil painting, I wrote 3 art guides, tackling problems associated with various areas of oil painting. Separately, these art guides were entitled: Why do My Clouds Look Like Cotton Wool? (tackling landscape painting peeves); Why do My Skin Tones Look Lifeless? (portrait painting peeves) and Why do my Ellipses Look Like Doughnuts? (still life painting peeves). The Ultimate Oil Painting Solution remained available only on Kindle for a while because of its size. But since creating a series of large edition art books, decided to do the same with this book amalgam. This new book measures a generous 10x8in, meaning its numerous and complex elements can be formatted in such a way that the book becomes viable as a hardback. Despite being quite big in dimensions, this art book still possesses a considerable page count of 234; quite a lot for its genre. In total, there are an incredible 78 chapters tacking various peeves with suggested solutions. 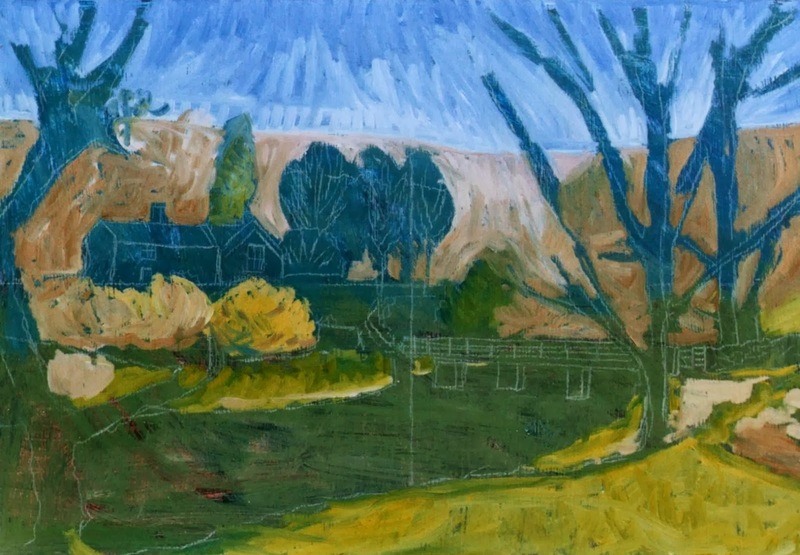 There are also step by step guides on painting subject matter related to each painting area. The peeves selected are the sort of problems that tend to recur in my art classes. Such difficulties are many and varied, but the list tackled in my book include: drawing ellipses, painting water, portrait photography, measuring tones, darkening the colour of snow, painting clouds, painting noses, drawing foreshortened objects, painting moisture on fruit, calculating vanishing points, darkening pale colours, painting highlights in hair. And much, much more. See screenshots below showing several pages within to get an idea of how the interior of this colourful book looks. Key chapters explain important matters relating to art and which form the foundations to painting, which are: guide to art materials, negative space, colour theory, the golden section, setting up a composition, drawing modes, painting out of doors, types of gessoes, painting on a budget, measuring tones, drawing ellipses, complementary colours, pigments needed for skin colours. And much, much more. This book’s intention is find a ‘cure’ for a particular issue and help the artist move forward in future painting practice. This will help spur creativity and growing confidence in the future. 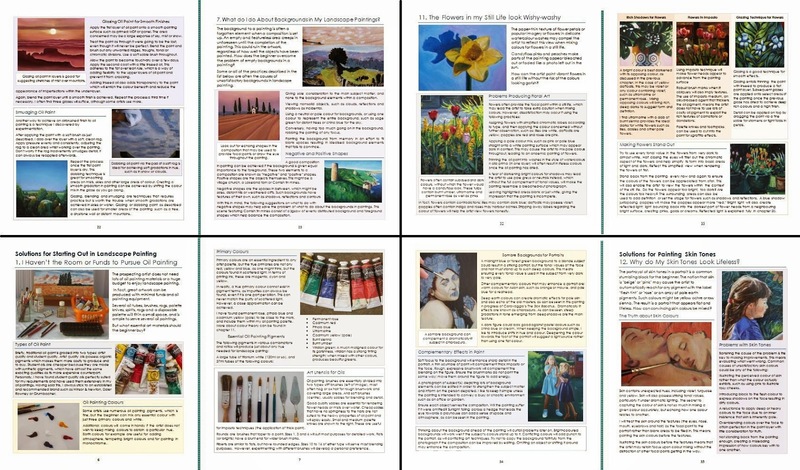 The Ultimate Oil Painting Solution for Landscape Art, Portraiture and Still Life has been specially formatted for hardback and is crammed with colour illustrations, paintings in progress and diagrams. There are also almost 78,000 words within. As can be seen from the screenshots, every page is crammed with useful information and colour pictures, providing a visual feast as well as invaluable advice. The 3 books that make up this amalgam can be purchased separately if interested in one subject area. And every book is available as Kindle. Select art books are also available in pocket sized editions of 8.5inx5.5in. Large art books on oil painting by Rachel Shirley are now available on Amazon. Existing titles such as Why do My Clouds Look Like Cotton Wool? 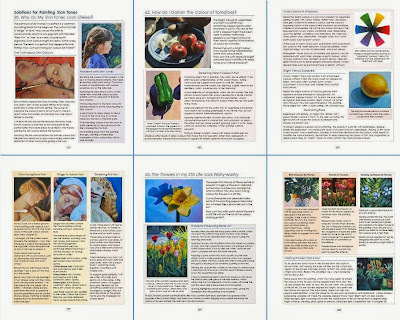 and Portrait Painting in Oil: 10 Step by Step Guides… can now be found in large book format, measuring 10x8in. Because the page count is smaller than the older editions, these new art books can be purchased more cheaply despite their larger dimensions. Having published art books on oil painting for some years now, have come to learn the art of formatting books that possess complex elements such as images, text, graphics and tables. This means a new range of larger art books have been produced to meet demand. The old, smaller editions (measuring 5.5inx8.5in) are still available but have been revised. I have added the wording ‘pocket sized edition’ to the covers to differentiate these from their new larger counterparts. My large editions all measure a generous 10x8in. And all my art books have new cover designs. See screenshot to get an idea of how the interior of these large instructional books look. I have also created hard copy versions of titles previously only available on Kindle, meaning those who prefer to absorb art instruction in book form are now able to do so with all my titles. Converting small to large edition has been a momentous task and has taken some months to complete, but feel the effort has been worth it, as these larger books offer a wider choice for those who prefer to absorb information presented on large pages with larger images. However, the smaller editions might come in useful for those who prefer the convenience of this smaller size to carry around. Why do My Ellispes Look Like Doughnuts? 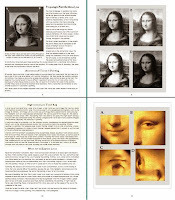 Oil Painting the Mona Lisa in Sfumato: a Portrait Painting Challenge in 48 Steps (previously only available on Kindle). As can be seen from the screenshots, there are a lot of images and bite-sized information presented on each page providing a visual feast and a more absorb-able read. A wide choice of art books has been converted. 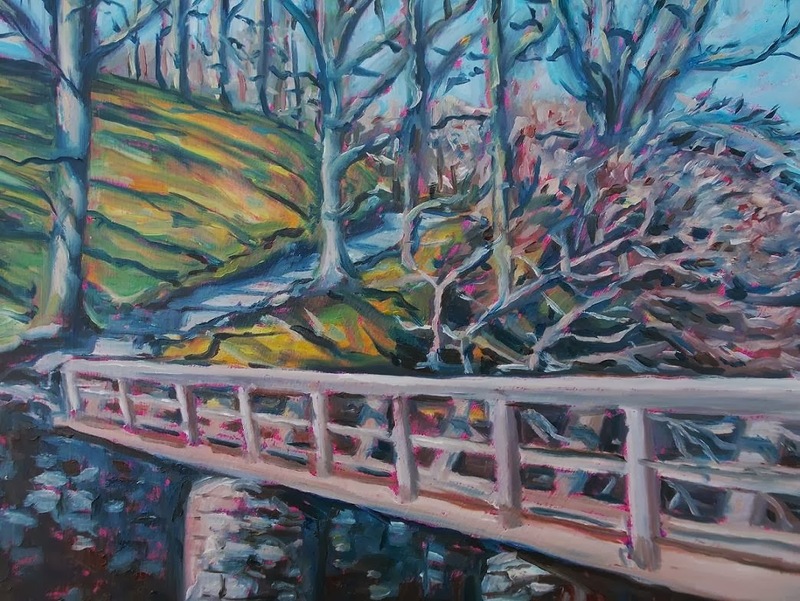 Subject matter such as still life art, portraiture and landscape painting are explored regarding overcoming ‘peeves’ that might present themselves to the artist, step by step demos or a guide to art materials and techniques. 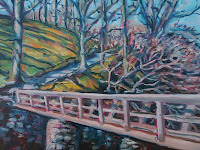 Photos of the paintings in progress are also larger and detail clearer. Each page visually informs and offers lots of advice for the developing artist. Look out for these new large art books in the coming months.